So as I mentioned previously, there’s a boy. I guess he’s an adult, though, so we’ll call him my gentleman suitor. GS for short. Raise your hand if you’ll miss my self-deprecating jokes about being single! Don’t worry, I have other material. Anyway, I’ve also shared with you how I weirdly find grocery stores to be potentially romantic, and I’ve said 8,000 times how much I hate Shoppers. So the GS called me on my BS and suggested we go to Harris Teeter, which is approximately 500 feet from Shoppers and as close to Wegmans as you can get in Federal Hill. I hadn’t gone before because I imagined that it was ridiculously expensive, but it really isn’t. Some things (ahem, Chobani) I still go to Shoppers for, but for the most part Teeter-ing is a more enjoyable experience. It’s become a weekly thing, and they pretty much have everything a 23 year old guy and a 22 year old female food blogger would want. Two very different carts, I assure you. The only thing that the GS is consistently missing out on is sourdough bread. They have it at the bakery, but it’s like 7 dollars for a tiny little loaf that would make 3 man-sized (my-sized) sandwiches, and no pre-packaged sourdough to be found. Always looking for blogging material, I did my research. WHOA, this is an endeavor. I figured it was worth a shot to try the bread machine version (which takes 4 hours and is hands-free) first. I should have known better. Looks like a hot mess. Tasted like a hot mess. 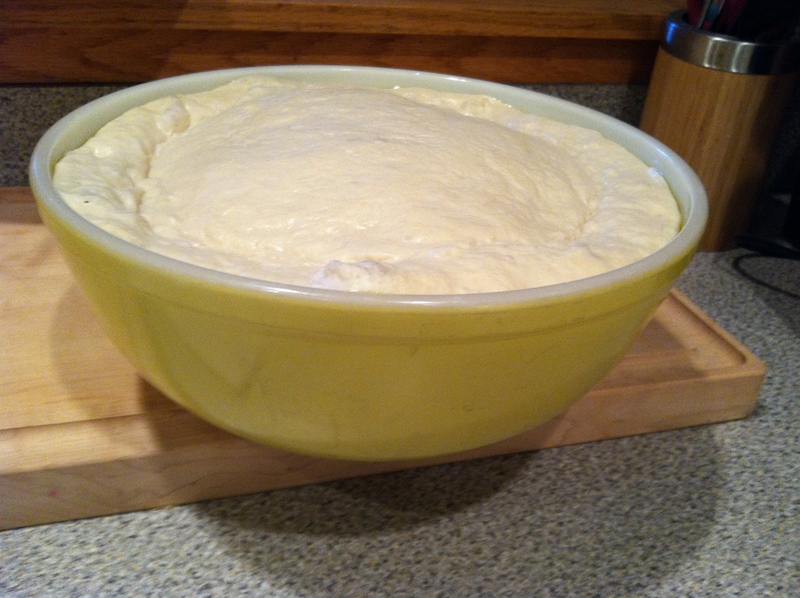 And so I began the journey that is making sourdough bread. It took about a week from start to finish, but I did it! And it was delicious. I used these instructions and this recipe, both from Annie’s Eats. I won’t re-type them because she did such a great job explaining everything. I’ll give you my pictures and my notes, and if you’re really interested I’ll give you some of my starter! It smells lovely. Nice and snuggly next to the window. Annie says it will take 2-5 days for it to be ready (aka smell sour and stop bubbling), mine took about 2 and a half. I think it depends on how warm your kitchen is, your yeast, etc. Ready for the fridge. It should be liquid-y and the alcohol will separate out (see below) but when you stir it together there is some texture to it. 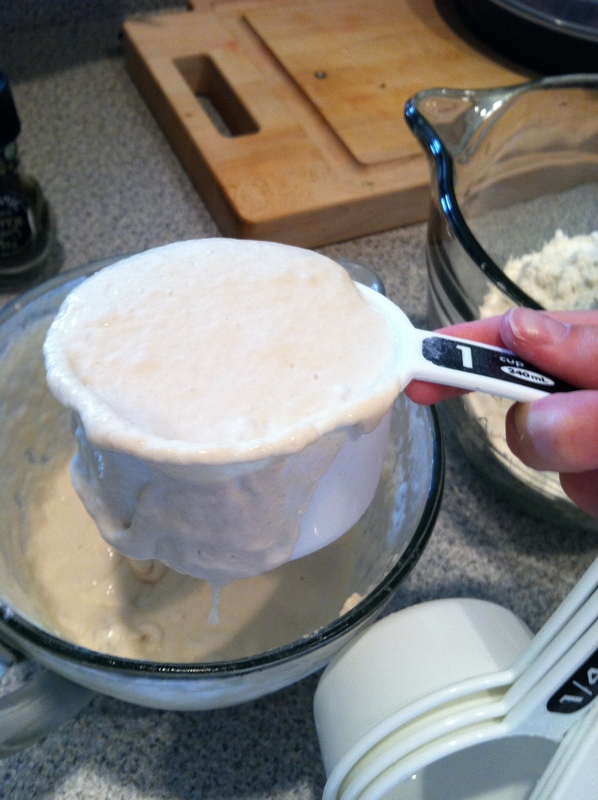 Most recipes that call for sourdough starter require it to be fed- meaning that you remove one cup of the starter and replace it with 1 cup flour and 1/2 cup water, then let it sit for another 5-7 hours. I found one muffin recipe that I could use this first discarded cup in, so I made the whole wheat pumpkin variation. I thought they were just okay. The GS ate like 6, but he also ate some of the pumpkin straight from the can so I’m not sure we can trust his palate. I’d recommend just ditching that first cup and going from there. That’s the starter after it was fed once. 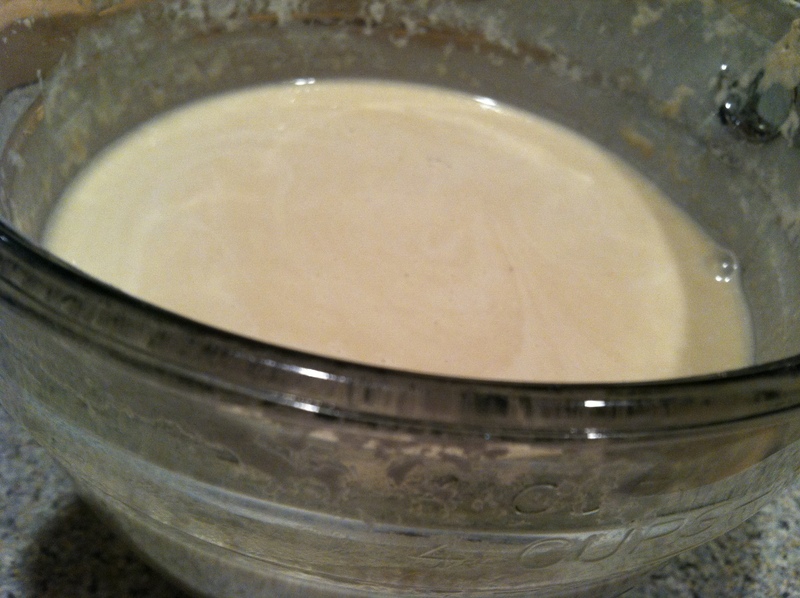 Now the consistency is more similar to pancake batter. 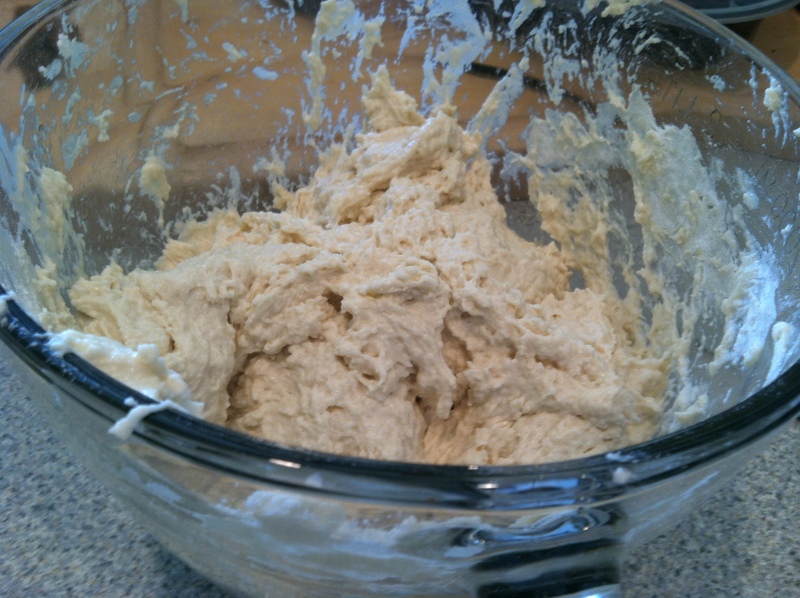 I added additional flour and water to create the sponge (below). I replenished the starter, and let that and the sponge sit on my counter for a couple hours. Then I put both in the refrigerator. My sponge chilled for probably 24 hours before I was able to get back to it. I added the bread flour, sugar, salt, and water in the morning before I went to volunteer clinic. You know, casual artisan bread making at 7 AM. I had to add about 2-3 tablespoons of water to get all the flour incorporated. But that could depend on your sponge. This is probably the most intense kneading process, and yet another reason I wish I had dough hooks. Then it rose for another 10-12 hours (Annie recommends at least 3-4) while I was gone all day. 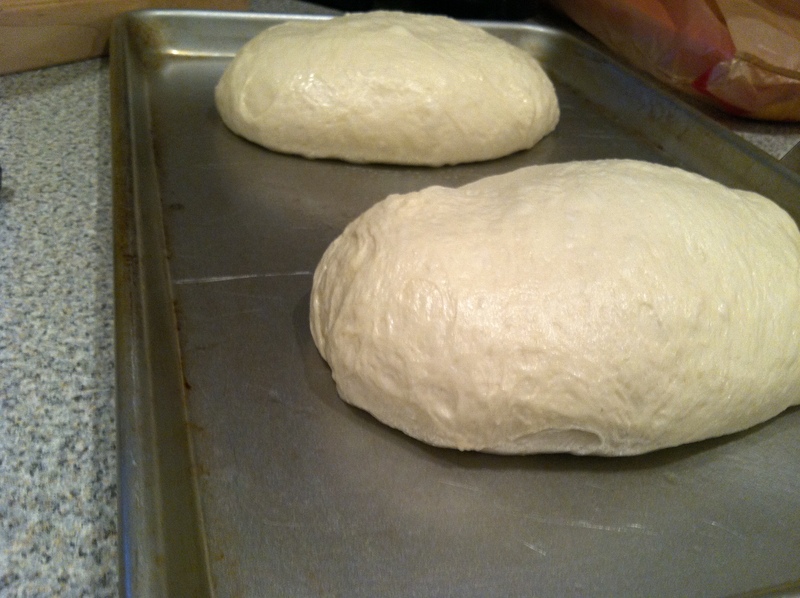 I formed it into two loaves for the final rise, an additional 2 hours covered over with a paper towel. 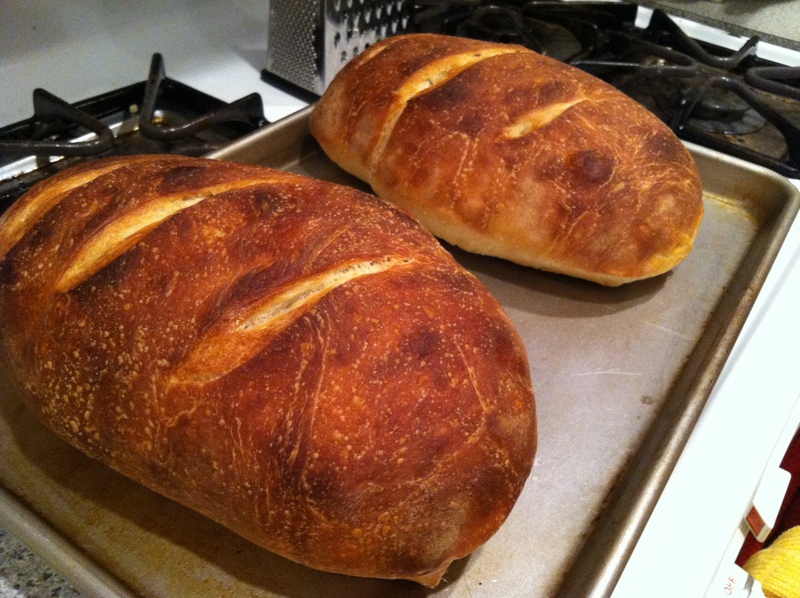 Then I scored the top, brushed them with olive oil, and baked at 425 for about 25 minutes. I don’t have a baking stone, so I just used an oiled baking sheet and it turned out fine. So rustic. 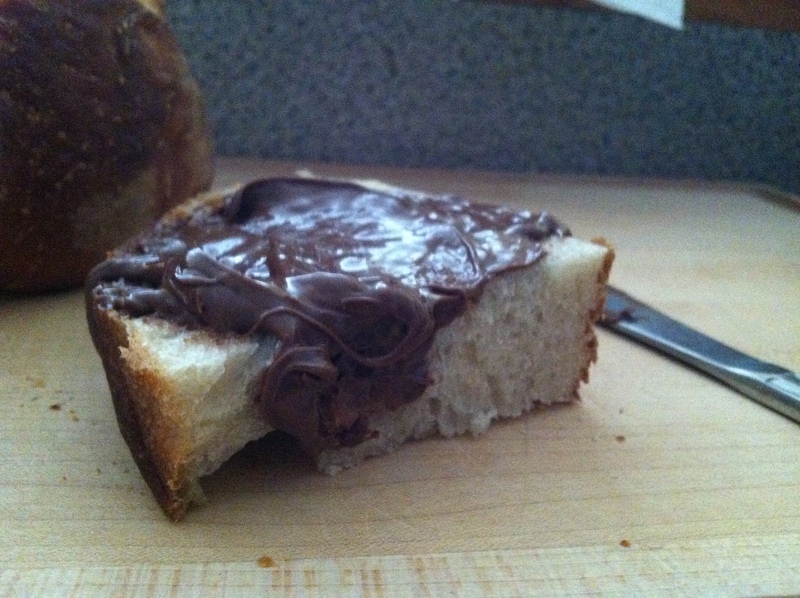 It took me less than 12 hours to defile it with a schmear of Nutella. And I was sleeping for 7 of them. 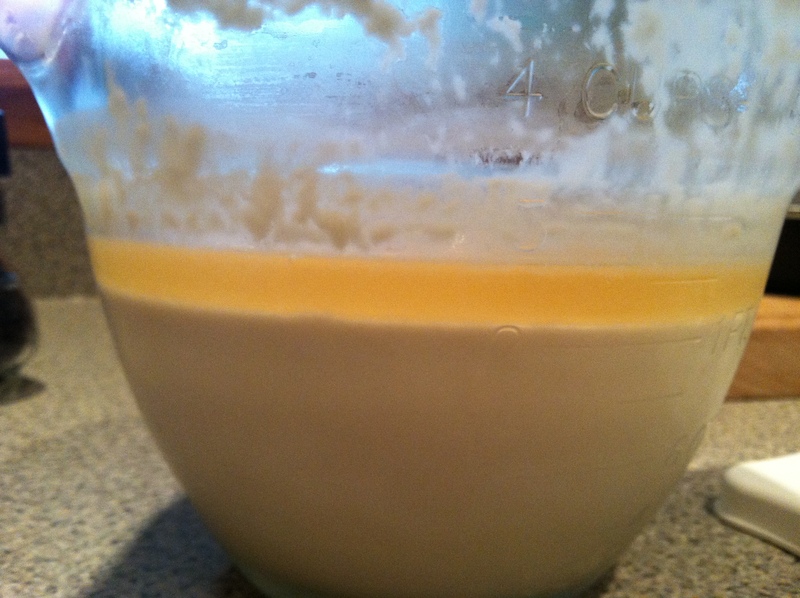 And now that I have the starter, I can make it pretty much whenever I want! The GS has requested weekly loaves for his sandwiches. I told him fine, as long as he buys me flours. flowers and flours. LOVE. happy birthdayyy!!!!! 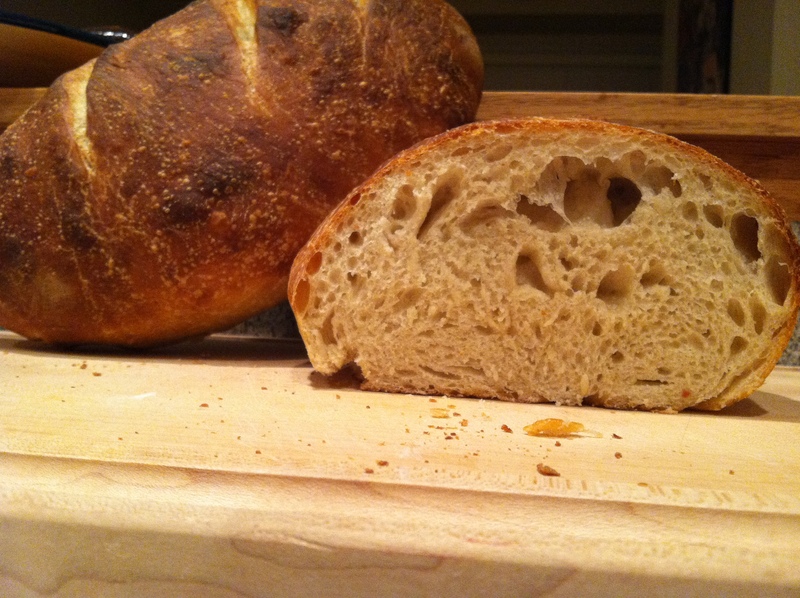 So glad you were able to have sourdough success! It’s definitely worth the effort. Thank you so much for your wonderful instructions! I’ve been keeping up with it and can’t wait to try new recipes using the starter.